Enjoy the fastest data transfers to your USB 2.0 devices with speeds up to 480 Mbps. 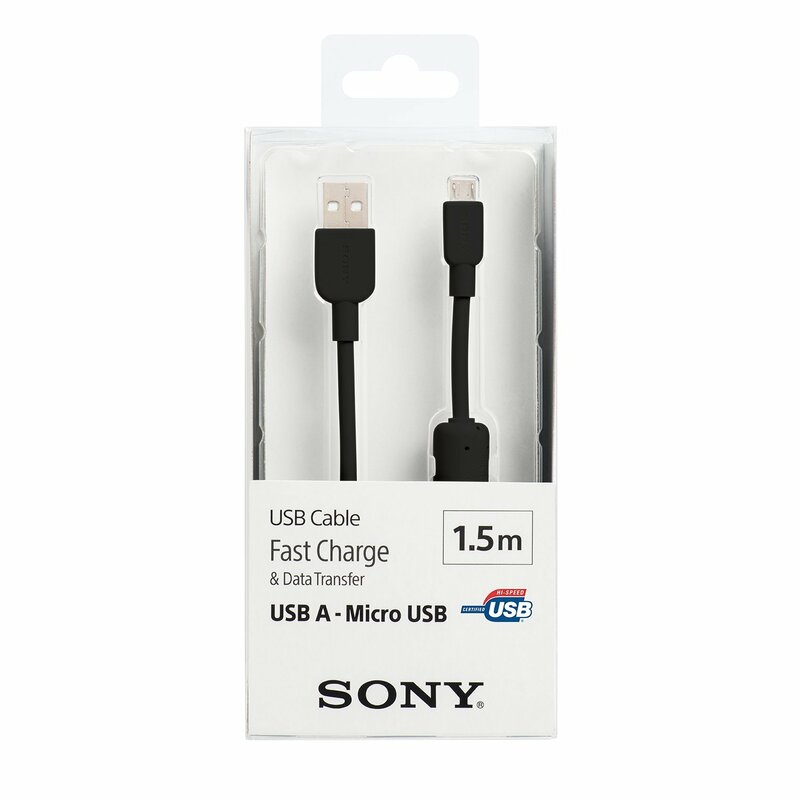 Sony USB cables last twice as long as other brands thanks to their wide diameter and the use of quality materials. 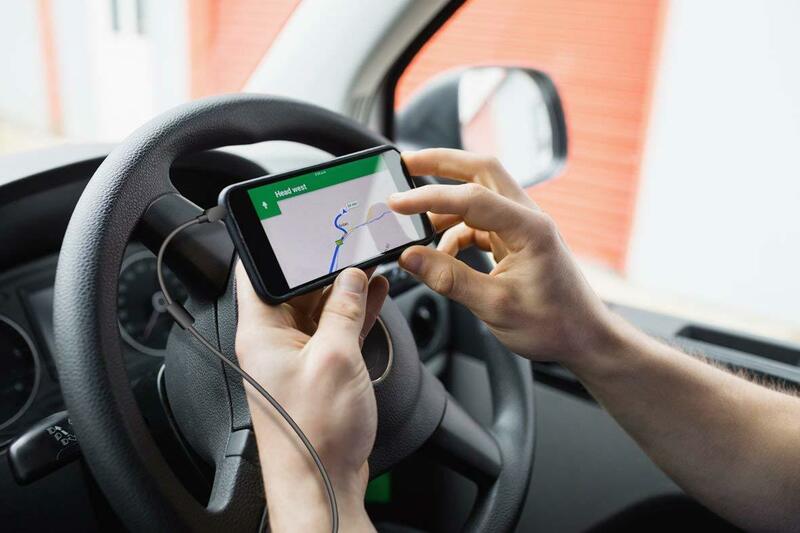 Tested to withstand over 3,000 bends and tens of thousands of connection cycles, for safe and reliable performance with both charging and data transfer. Sony's wider diameter cables offer a faster charging speed. 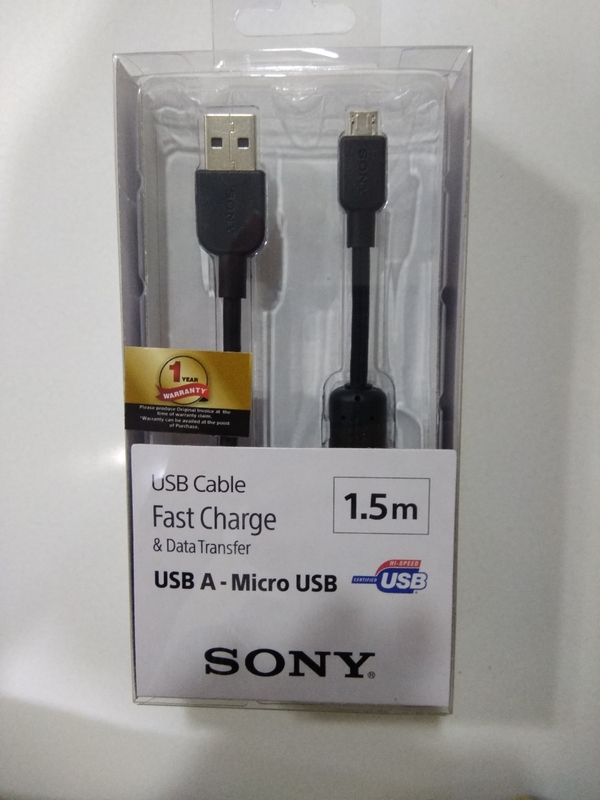 With compatible devices, Sony's USB cables support up to 2.4 A input/output, for up to five times faster charging than other cables. The ferrite core reduces electrical noise for superior signal transmission. Get the maximum performance from the cable even when surrounded by interference from other devices such as TVs and audio systems. 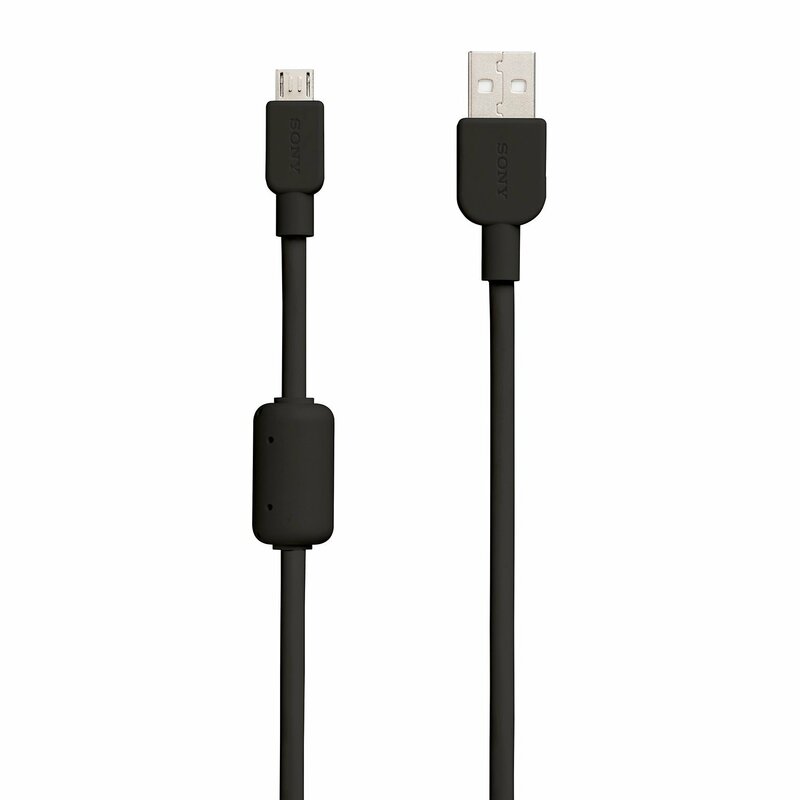 Available in convenient 1.5 m (4.92 ft) and 3 m (9.84 ft) lengths, these USB cables are ideal for around the office and home or while travelling. Use for PC data transfer in addition to USB charging from wall-plug AC adaptors, portable battery chargers and car chargers. 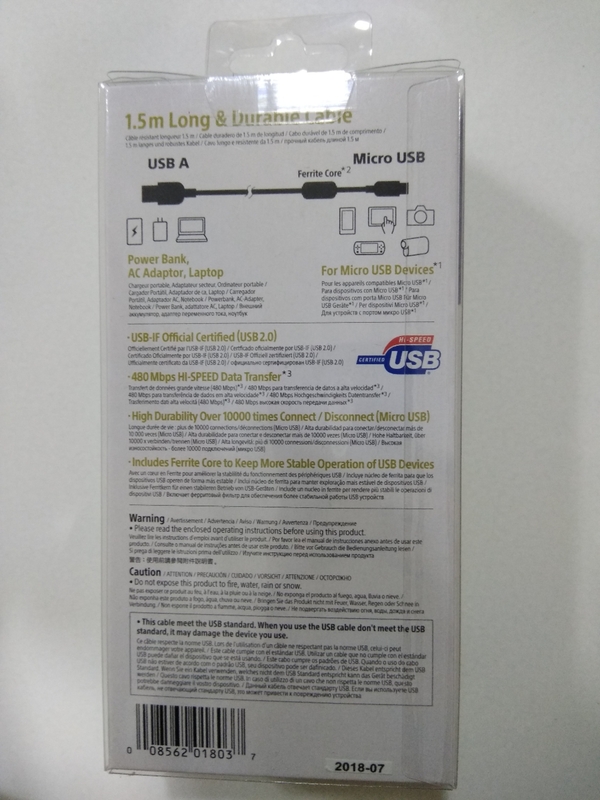 You can use it for data transfer between USB Type-A and Micro USB devices. 2019© LT Online Store. All rights reserved.